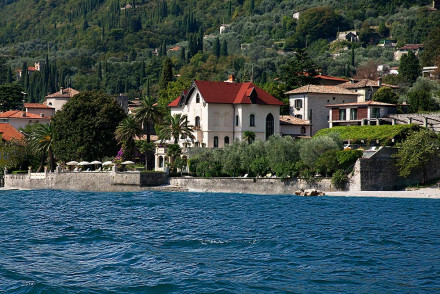 Lake Garda offers a breathtaking variety of near-perfect views: from the chalet chic, wind swept towns of the north, under their sheer amphitheatre cliffs; past the Belle Epoque villas of the riviera stretch; to the beautifully converted farmhouses and spa towns of the Mediterranean-feeling south. The best luxury hotels on Lake Garda can be found dotted all over the lake’s shores; a collection of beauties offering perfection for everyone - whatever your taste. 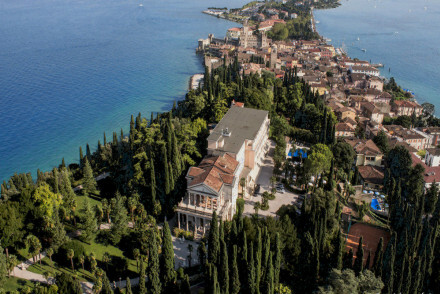 Our Guru’s recommendations for the 10 best luxury hotels on Lake Garda include traditional villas with decorations to impress the Tzars, contemporary offerings chic enough for James Bond, who’s been known to swing by in this or that sports car, to five-stars-but-pared-back properties which let the lake views speak for themselves. 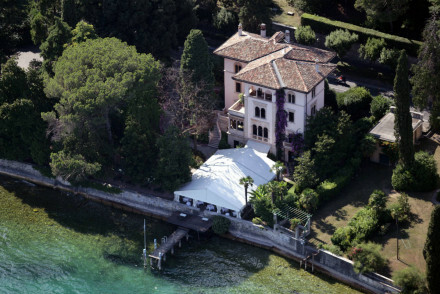 The Villa Giulia is a handsome Victorian villa right on the water’s edge at Gargnano. It has 23 light, airy bedrooms and some lovely original decorations. Between the villa and the lake are beautiful, fragrant gardens. A peaceful villa with spectacular views. 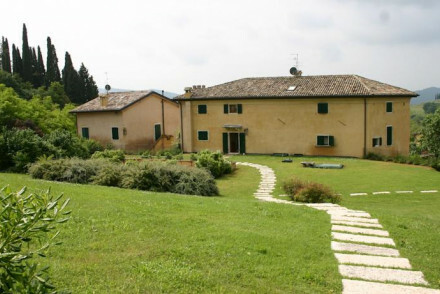 The Locanda San Vigilio is an elegant, 14 room hotel owned and run by an Italian count! It’s been a hotel for 500 years and it’s immaculately decorated with antiques and beautiful objets. The hotel even has it’s own Emporium where you can buy beautiful things. Right on the lake at Garda. 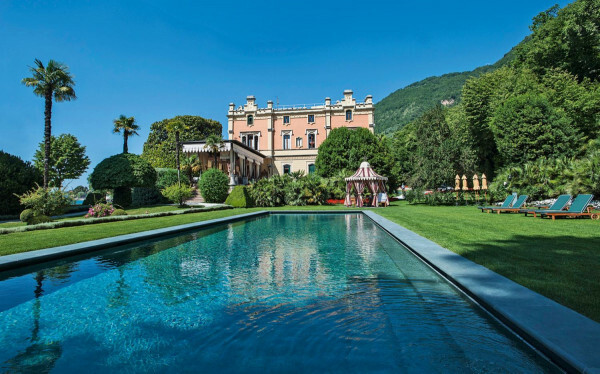 The Villa Feltrinelli is another beautiful aristocratic villa conversion, with 21 rooms boasting authentically restored interiors, antiques, beautiful fabrics and paintings. There’s also a Michelin starred restaurant. 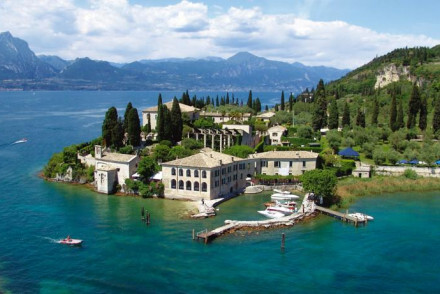 The Villa Cortine Palace in Sirmione is a grand, old fashioned villa hotel, with 54 rooms and an absolutely splendid setting. The rooms are Art Deco in style with some beautiful frescoes and antiques, plus there’s a private jetty, a lovely swimming pool and neoclassical landscaped gardens all around. 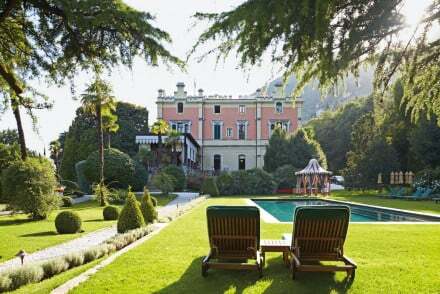 Gardone Riviera’s Villa Fiordaliso is a grand, 19th Century Liberty-style villa with beautiful, historic interiors and a gourmet restaurant. There are just five rooms, which are traditional but timeless, and all with beautiful views of the lake. There’s also Michelin starred dining and lovely gardens and terraces. 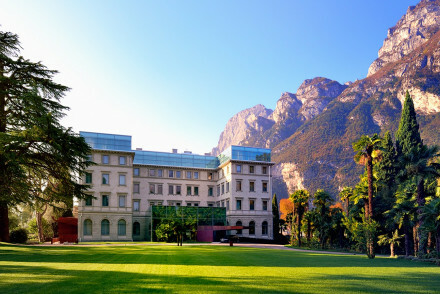 The LIdo Palace is a five star resort perfectly positioned in Riva del Garda, between lovely Lake Garda and the mountains. The stunning Liberty villa has ben converted into a 42 room hotel with contemporary designer flair. There’s a fabulous spa, extensive grounds and a gourmet restaurant. 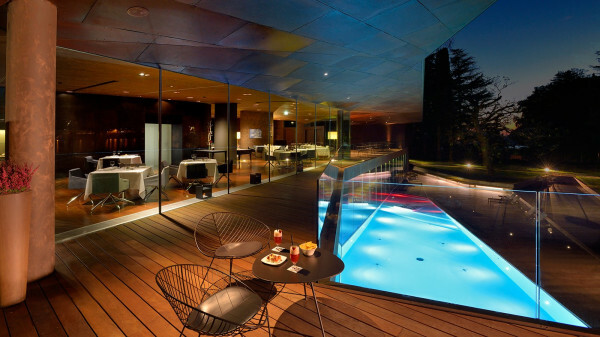 The Bella Riva in Gardone Riviera is a beautifully positioned hotel with 23 contemporary rooms and suites. There’s also an excellent restaurant, bar and a good pool. And the hotel has great watersports facilities, which means it’s ideal for families. The Locanda San Verolo has been converted from an 18th Century farm house, and now has 12 rustic chic bedrooms, two heavenly pools - one for adults and one for children - and fragrant gardens. There’s a great restaurant and you’re just outside the beautiful medieval town of San Verolo. Originally built for the imperial family, the Grand Hotel Fasano in Gardone Riviera is an historic grand hotel in a privileged lakeside position. The architecture is romantic with fairytale turrets and lovely details, but its private terraces, pebbly beach, spa and tennis courts mean it works for families too. The 76 rooms start from around £100 per night. 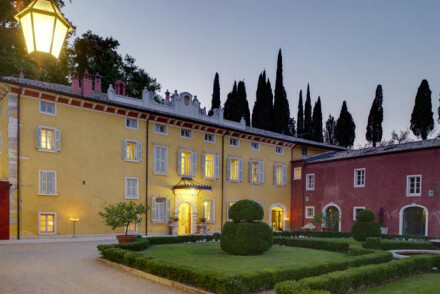 The Villa Cordevigo is a palatial 18th Century villa surrounded by formal gardens and parkland just ten kilometres from Lake Garda and about five kilometres from Bardolino. 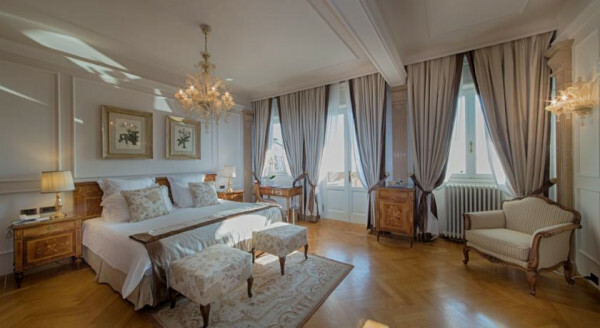 The 23 rooms are decorated in the Venetian style, with period furniture and original fireplaces. And there’s a traditional Italian restaurant. 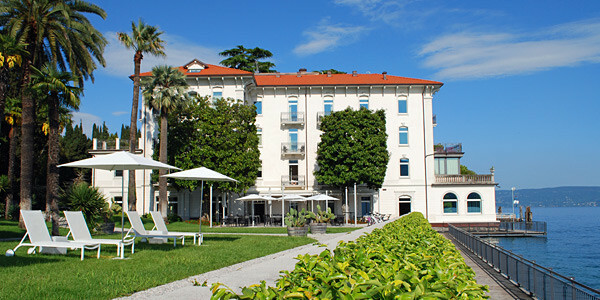 Still not sure which of our Guru’s recommendations for the best luxury hotels on Lake Garda might be perfect for you? 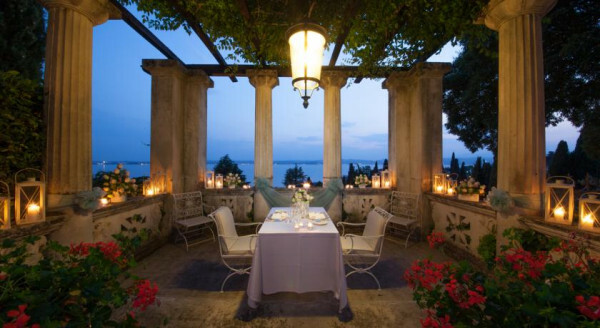 Or refine your search to just the 15 Best Hotels with a View on Lake Garda? 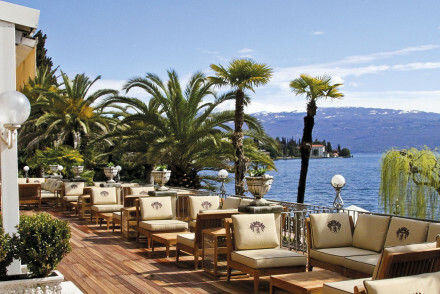 or the 10 Best Hotels on Lake Garda for Foodies? 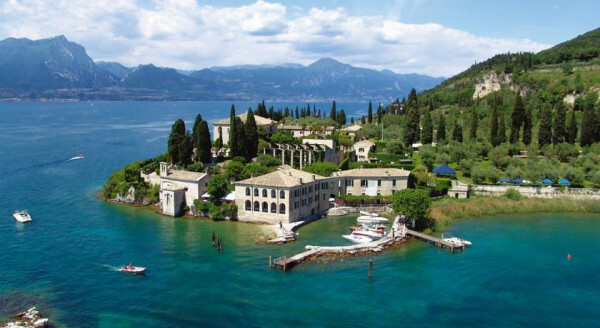 Or you could refine your search by destination, and consider only the best places to stay in Sirmione? or the best places to stay in Gardone Riviera?